We all love coffee, and some of us can't function without it, but it's time to face up to the fact that, for far too many years now we've been doing our frothy friend a gross injustice. We drink it and dash, never stopping to savour the full flavour or really take the time to enjoy its ever changing tones and tastes. Some of even stoop to instant in the mornings, and even those of us with the luxury of enjoying the real stuff first thing, are all too guilty of taking our caffeinated companion for granted. So, grab yourself a mug and check out my thoughts on why we should all be grinding our own coffee in the mornings. 1. The Smell - Oh my God the smell, if you think your instant roast smells good, then you ain't smelt nothing yet. 2. Your Morning Hit - You get an upper arm workout every morning before you've even tasted your first cup. 3. The Daily Grind - Okay, so it's not quite two hours of backbreaking work to turn your daily quota of grain into flour, but having to work for something - in a world where we're handed everything on a silver plate - is never a bad thing. 4. Getting Back To Basics – Who wants anything but coffee (and perhaps a little milk and sugar) in their morning cuppa? Grind it from the bean and you know exactly what's in it. Coffee beans...and a little blood, sweat and tears. 5. Its Better Than Instant - This should go without saying. Freshly ground coffee is to instant what the ocean is to a pothole puddle. 6. It's Therapeutic – Your hands may be busy but your mind is free to roam and you've just bought yourself 5 more minutes of time in the mornings to mentally dissect your wardrobe. 7. Mindfulness – If you can make coffee more mindfully than this you obviously know something I don't. Be grateful to the bean. 8. 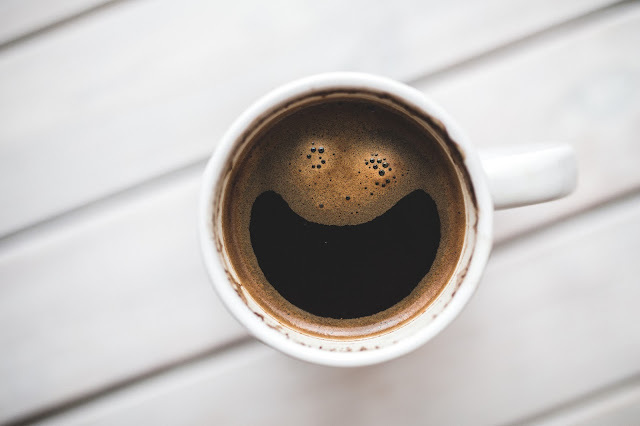 The Rewards – You worked for this coffee, you put your early morning time and effort into this coffee, you gave up five minutes in bed and hopped around on the cold tile floor for this coffee. This is like no other coffee you've tasted before. If Carling did coffee, they'd get you to grind it. Coffee recommendations in the comments section please, I'm always on the hunt for new blends!